MAKE SURE TO EMAIL TO SEE IF CLASS IS FULL, OR IF SPACE AVAILABLE. Nordic pole walking is good for just about everyone, including YOU! How are you going to know? so you’ll know exactly what makes NORDIC STYLE pole walking GREAT! Try it at a LEARN LESSON to see if you like it! 1. Borrow Nordixx poles for free for this lesson. 2. Go step-by-step through the 4 basic steps. 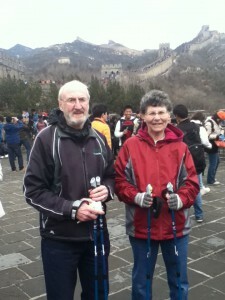 3. at the end of the lesson you will have a “feel” for Nordic Pole walking to know if you like it or not. 4. All fitness levels and conditions are welcome for this lesson. 5. Registration is limited to a small group so that everyone will get lots of personal attention. 1. Arrive a few minutes early to fill out registration form and pay class fee. $20 in cash is best. 2. We start on time! 3. We will all learn how to adjust poles and set them up for your height. 4. Even though class is 90 minutes, it is not all exercise….so you will survive! they will be available at the class. $91 includes tax. Cash, VISA, MC. I LIKE IT! WHAT’S NEXT? 1. After this lesson, you will have a grasp of the basic steps and be able to go out on your own. 2. Buy a $20 punch card and attend 3 more LEARN LESSONS at your leisure. 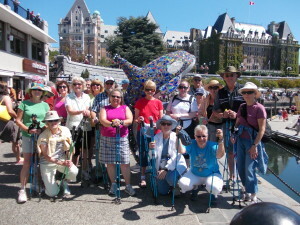 It takes about 4 sessions to start to feel comfortable and confident with the Nordic Pole Walking style. The basic steps will be reviewed and you will be coached on your technique as you systematically follow the fitness program and build your habit of pole walking three times a week for 30 minutes. That’s the scientific threshold. 4. You will be welcome to join any of the Neighbourhood Pole Walking groups listed on the landing page of this site. THIS COURSE IS CLOSED AND ALMOST COMPLETE. It is challenging for everyone to get into the HABIT OF FITNESS, especially when your mind says “no” and your body says, “don’t go”! Sooooo….this is the program where you actually get competent and fit with Nordic pole walking! I’M digging into my DEEP COACHING BAG OF TOOLS, to solve the issues that stop you from getting into a healthy fitness habit. This group is shaping up to be quite homogenious…kind of low to middle fitness level, and a less than stellar record when it comes to success with any fitness program. To boot many people have some kind of a pain issue to deal with too. YOU WILL ALWAYS BE WORKING AT YOUR LEVEL. I promise you we are going to take tiny steps AND SUCCEED! I have a deep box of coaching experience to draw from. The homework for session 1 will make you both laugh and cry, because you will know I GET YOU! IT HELPS A LITTLE BIT IF YOU HAVE ALREADY TAKEN A LEARN CLASS WITH LINDA in the last three years AND HAVE YOUR NORDIXX POLES, but we are going to start from scratch! THIS IS A GREAT TIME TO BRING A FRIEND OR FAMILY MEMBER with no experience. will be available at class for $91 (including tax, cash Visa, MC). 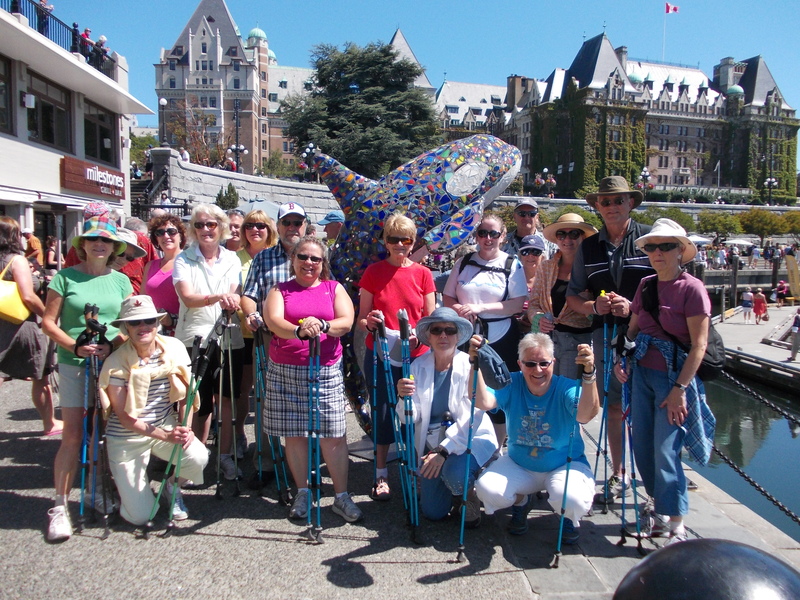 This is the program where you actually get competent and fit with Nordic pole walking! Get the accountability and encouragement to actually get into gear with your fitness improvement. Whatever your fitness level, you will be starting your 12 week program AT YOUR LEVEL AND PROGRESS FROM THERE! and then gradually stretch our fitness capabilities on the most beautiful walkway in Victoria. It is challenging for everyone to get into the HABIT OF FITNESS when health results really start to show up. 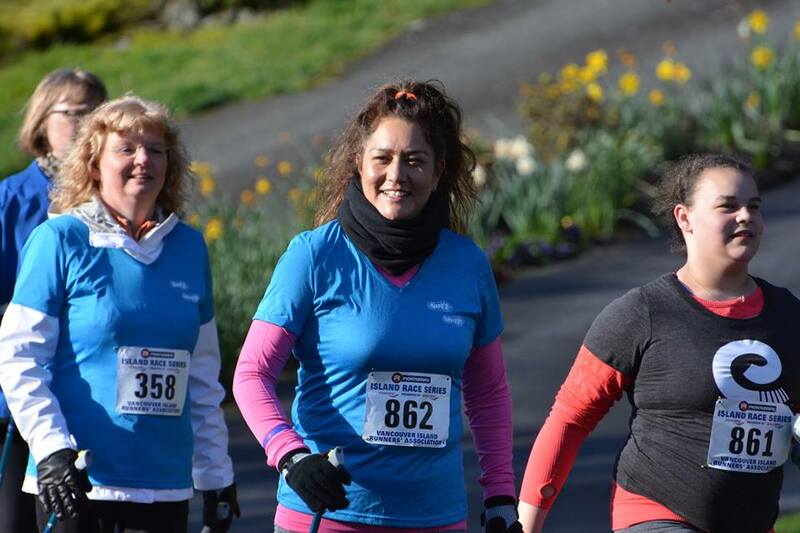 Our hope is that everyone will register in the tc10km on April 30….from low & slow pole walkers to fast & far pole walkers….and everything in between. To have a fun goal, and work towards it with your buddies makes getting into the habit of fitness very enjoyable. 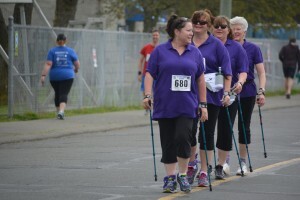 Our motto is “everyone pole walks with a buddy…including in the TC10km. To have taken a LEARN CLASS with Linda in the last 3 years is a pre-requisite. One class. Borrow poles for free. Learn the FOUR BASIC STEPS of Nordic Style pole walking so that you will know if you like this exercise and if it feels good to your body. If you are like thousands before you, you will be surprised that there is a technique to follow, that this technique helps the body to relax/let go of pain, and that you feel powerful as you push on those poles! Regardless of age, fitness level, and “problems”, most people find that Nordic style pole walking is very accommodating and DO-ABLE. What a great way to exercise 90% of your muscles, and burn almost twice the calories of plain walking. 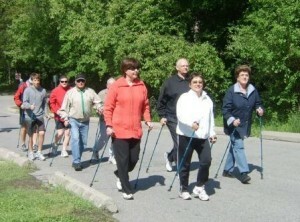 NORDIC POLE WALKING is the perfect companion piece for the great Weight Watcher’s food program. This is a combination made in heaven. Nordic style pole walking takes the pressure off feet, knees, hips, and low back that may be temporarily strained under too much body weight. 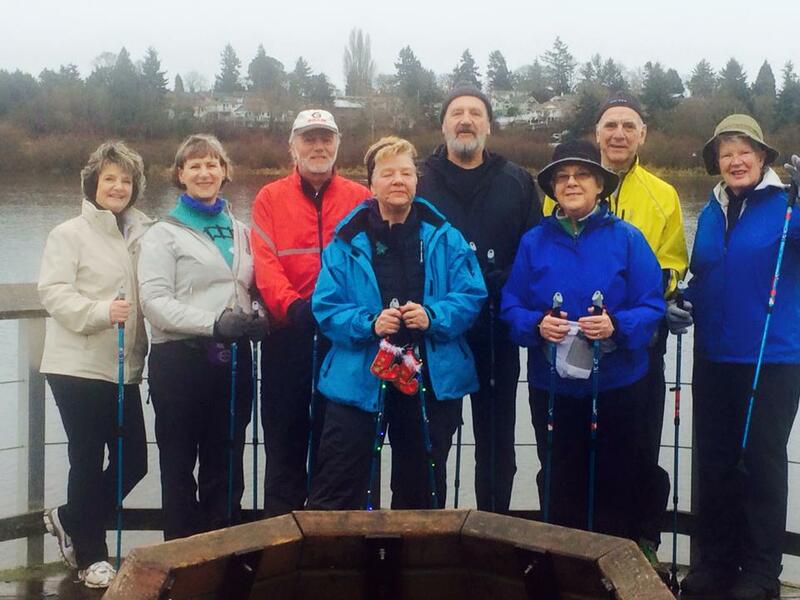 Nordic pole walking will meet you at whatever your current fitness level is. Whether you are struggling to get to the end of the driveway, or are looking for an effective exercise that you can do as much as you want, NORDIC POLE WALKING IS THE ANSWER. 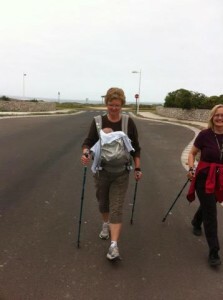 SCIENTIFIC PRESCRIPTION FOR HEALTH WITH NORDIC POLE WALKING? Pole walk minimum of 3 x week for 30 minutes. YOU CAN DO THIS! Sooooooooo….this LEARN LESSON is where you can try out Nordic pole walking for yourself! With accountability and encouragement you can actually get into gear with your fitness improvement. and then gradually stretch our fitness capabilities on the most beautiful walkway in Victoria. 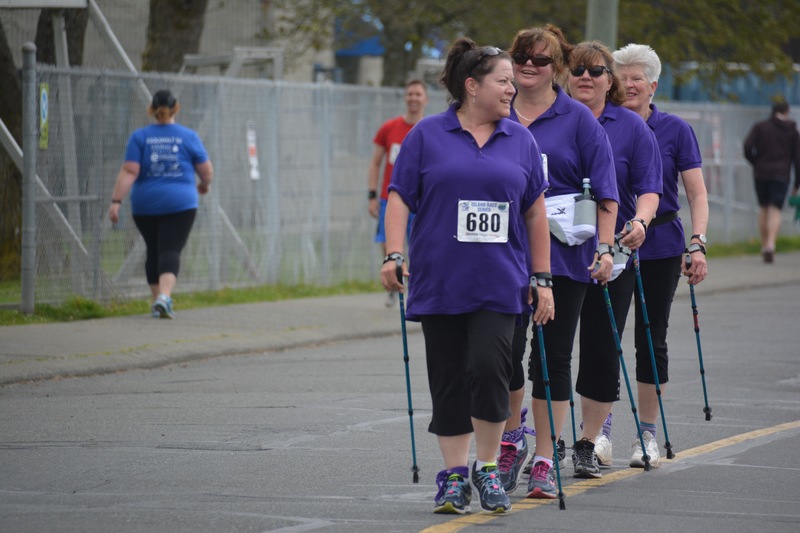 This group is targeting the Esquimalt 5km on April 8 and the TC 10km on April 30 and will learn how to pole walk in “quad teams”. IT IS BEST IF YOU HAVE ALREADY TAKEN A LEARN CLASS WITH LINDA in the last three years AND HAVE YOUR NORDIXX POLES, however we will be reviewing and improving technique at the beginning, and Nordixx poles will be available for sale at the class $91 includes taxes. Learn lessons in 2017 are on Jan 30 at 1:30pm Feb 5 at 1:00pm, and Feb 6 at 1:30pm, Feb 12, at 1:00pm. The fitness course starts on Feb 2.